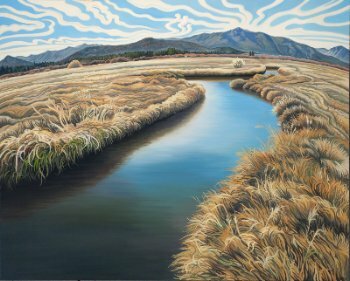 Phyllis Shafer: I only went out for a walk… opens February 8 at the Nevada Museum of Art, Donald W. Reynolds Center for the Visual Arts, E. L. Wiegand Gallery. 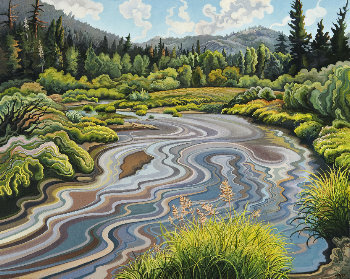 The exhibition celebrates the iconic landscape paintings of Phyllis Shafer while also carefully examining her early artistic influences shaped by time spent in New York and the San Francisco Bay Area. The largest presentation of Shafer’s work to date, the exhibition includes nearly 100 paintings, gouaches, and drawings. Ann M. Wolfe, Senior Curator and Deputy Director for the Nevada Museum of Art, says Muir’s quote aptly suits both the exhibition and accompanying full-color book of the artist’s work. 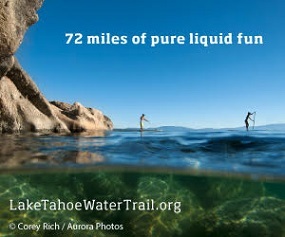 “His words not only underscore Shafer’s creative philosophy, but also capture the spirit of the Sierra Nevada that has served as Shafer’s inspiration for so many years,” Wolfe said. She curated I only went out for a walk…, an exhibition assembled from numerous private collections on the West Coast. A native of Buffalo, New York, Shafer has lived and worked in South Lake Tahoe since 1994. She teaches full-time at Lake Tahoe Community College where she also serves as Department Chair and Gallery Director. Shafer is represented by the Stremmel Gallery in Reno, Nev.
A fully illustrated book documenting Shafer’s work from the 1980s to the present accompanies the exhibition. Interview by Ann M. Wolfe, Senior Curator | Deputy Director. 112 pages, hard cover, $40 per copy. Copies available for purchase in the Museum Store. Experience a farm-to-table dinner featuring food from areas often depicted in Shafer’s landscape paintings. Prepared by Chef Mark Estee of chez louie and Campo, guests will enjoy a menu made from locally sourced ingredients and will have an opportunity to meet the farmers providing the evening’s fare. Prepaid reservations by credit card are required by February 14, 2014. Please call Amy Saathoff at 775.398.7232. Girl Farm – Located 30 minutes from Reno, Girl Farm provides local families and independent restaurants with naturally and humanely raised meat, eggs and produce without chemicals, growth hormones or antibiotics. Albaugh Ranch – This working cattle ranch borders the Pit River and is home to lush pastures, mint and wheat crops, and stocker and cattle pairs. Sand Hill Dairy – Operating from Fallon, Sand Hill is Nevada’s only farmstead cheese dairy. Grab a beer, groove to live music, and enjoy a conversation with the artist of I only went out for a walk… during First Thursday. Advance registration required at nevadaart.org or call 775.398.7260. Phyllis Shafer: I only went out for a walk… will be exhibited February 8 through May 11, 2014 at the Nevada Museum of Art, Donald W. Reynolds Center for the Visual Arts, E. L. Wiegand Gallery located at 160 West Liberty Street in downtown Reno. Change by Sara ZimmermanHelping locals for over 30 years. Ray Goodenough OPENS practice in South Shore.